Foreigners can buy tickets from Interpark and Yes24. The musical is running from July 2, 2013 to September 1, 2013. In the first casting schedule released for shows up till July 21, Ryeowook has four performances opposite Oh Soyeon as Gabriella. In the second list for shows up till August 11, another three performances for Ryeowook were announced, all opposite AOA’s Choa as Gabriella. In the final schedule, Ryeowook has four shows, three opposite Luna and one opposite Oh Soyeon as Gabriella. 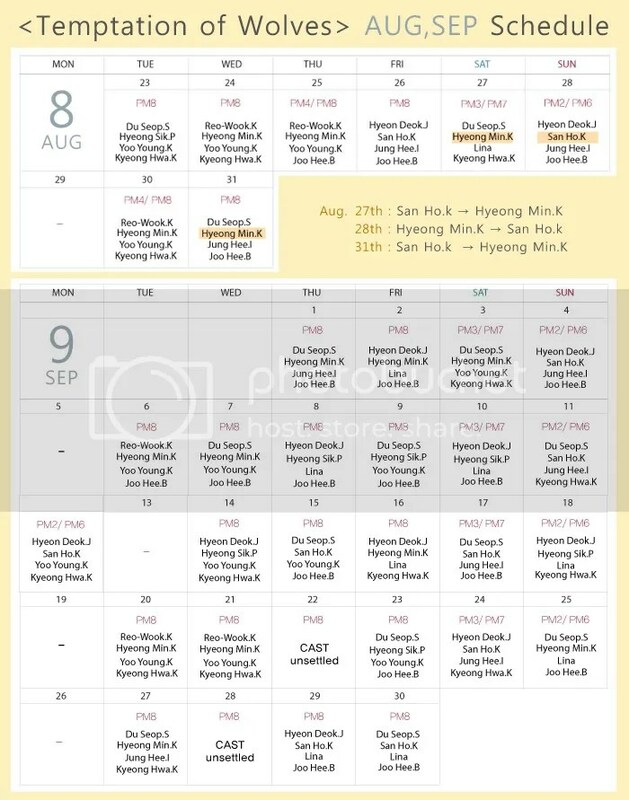 [Update] Changes to schedule: Ryeowook replaces Kang Dongho on July 31 so there’s an additional show. Luna replaces Oh Soyeon on July 19, which means Ryeowook’s first performance is opposite Luna. Aug 1st: Super Junior – The 5th Album [Mr. Simple] video teaser release!